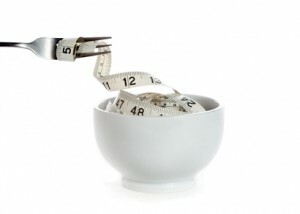 Scams are very common these days regarding weight loss programs and products. One such a scam was reported by people about a boy of 23 years, who market the program in a very attractive way, thus getting lots of money from people and then disappeared. Effective weight loss programs are not always genuine; you should check the reviews of that Particular product or the company before paying anything. It can not only cause you loss of money, but illegal product can also harm your health. There is another program, which is very harmful known as hormone treatment. This is rejected many times FDA and FTC but, still is running and people are scammed daily. Energy band used for weight loss is another big fraud in this industry. This consists of a plastic band with a disc, which is considered to release vibes to the body thus reducing fat. It causes reduction in appetite and some users claim that they have lost weight with it. So the weight loss is because of the low appetite instead of the product itself. So it is another wrong claim, but again still lots of people are buying it online called pure energy band. Another product which is claimed to be very helpful in effective weight loss, is crystals called sense crystals used for losing weight. The claimers say that you can lose 30 pounds of weight in just six months without going through a heavy diet or exercise program. These crystals are used on the diet and it is claimed that, they are tested. The only reason behind it is that the smell of these crystals sends a message to the brain and body to stop taking that food. As a result reduction in appetite causes weight reduction. Action against such product was taken in U.S but, still it is present in the market and it is continuously damaging people’s health. There is another product named as HGG, which has a history of 50 years. It was developed by Dr. Albert Simon, who said that the hormone, which is present in pregnant women’s urine can cause appetite reduction and he applied this theory in the form of injections. Initially these injections got very popular. Later in 70s the product got banned by FDA and FTC. But then in 2007 King Kevin again claimed in his book that HGG treatment is very effective for weight loss. And then later the product was sold by giving it a name of homeopathic treatment for effective weight loss. A strong marketing was done in an online program regarding this product. But FDA made people aware that such product can cause gallstones and imbalanced heart beats as well as change in electrolyte levels. In December 2011 around six companies were warned by FDA and FTC to stop selling this product. But as people are so obsessed with weight reduction that they become vulnerable. Inspite of strong laws these scammers are still seen everywhere just because of people’s faith in such products.